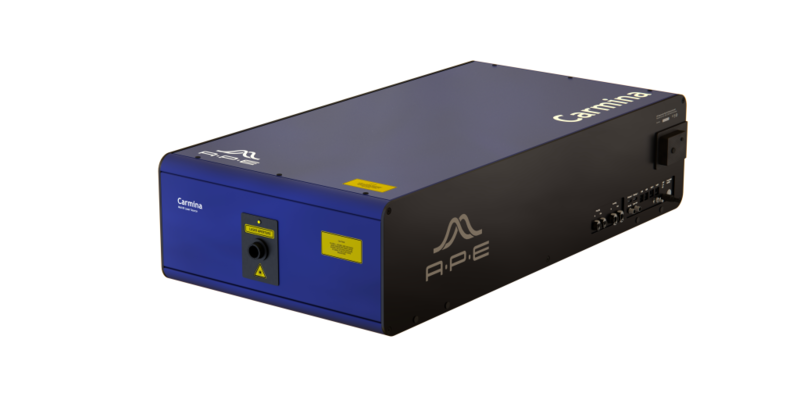 APE provides a professional IR light-source for the integration with scattering SNOM and AFM-IR microscopes. The source sets new standards in resolution, sensitivity and tuning range due to its OPO/DFG architecture. The unique combination of 300 cm-1 broadband as well as 20 cm-1 narrowband emission covers the two complementary nanoscale IR techniques s-SNOM and AFM-IR. 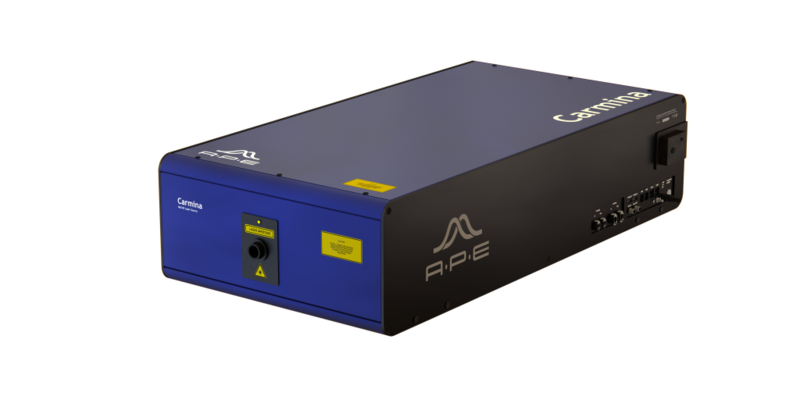 A pulsed mode (Burst Mode with 50 % Duty Cycle) is included for AFM-IR applications. Download our brochure (download tab) to view the specification data. Carmina is fully compatible with sSNOM & AFM-IR solution from Anasys / Bruker, the world leader in nanoscale IR spectroscopy. Contact us for more information.